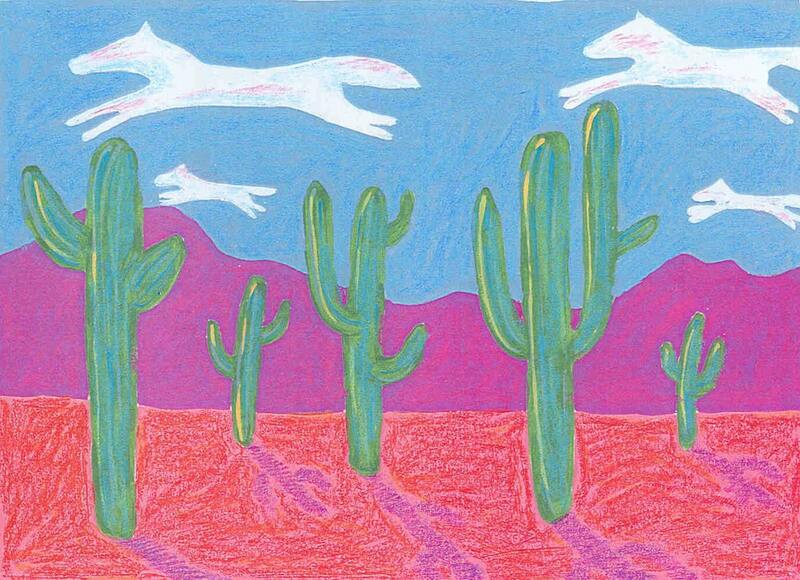 I went through a whimsical Western art phase long before I moved to California. And now that I'm back East again I thought it would be a good time to pull them back out. This one is aptly called "Even the horses did a raindance." I got the idea from seeing pictures in clouds. I'm sure you've done that to pass the time! Each notecard measures approx 4x5" and comes with a matching envelope in a cello sleeve. The card is left blank for your own message. Another beautiful card. I need another card like a another hole in my head, but I could not resist this card!